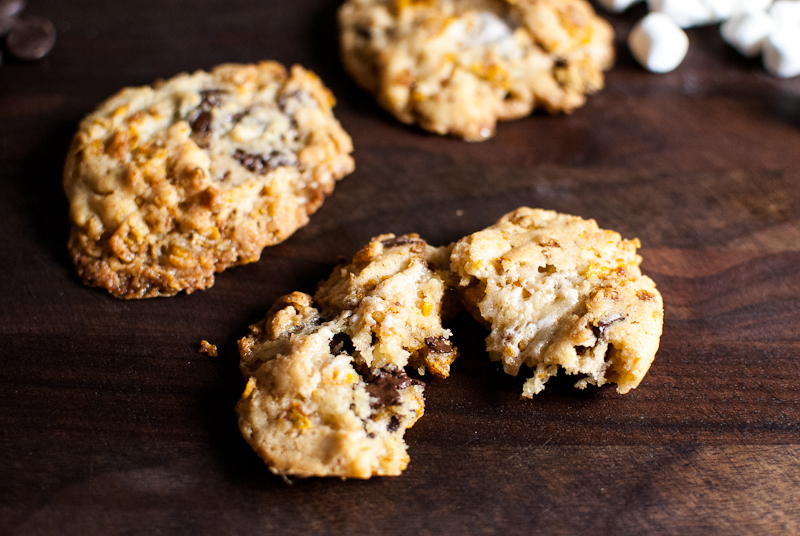 I know what you must be thinking after reading the title “Crack Cookies”….well my friends, these are insanely, dangerously, addictive cookies. 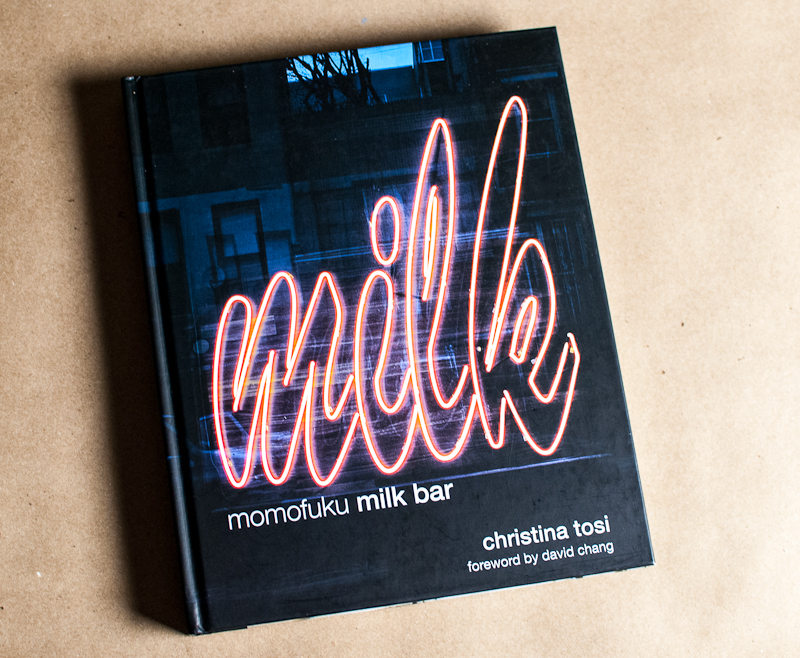 I first heard about Christina Tosi from Momofuku’s Milk Bar about five years ago. I read an article on her crack pie in my local newspaper, and they included the recipe. I made her crack pie for a potluck at work, and it went fast! It was that good! I waited and waited for her cookbook to come out…. So fast forward to this last year, and my sweetie bought me her cookbook for Christmas! Sweeeet! I was super excited to see what other strange addictive recipes she had put in the book! And strange they are…a few things she includes in her recipes= milk powder, freeze dried corn, freeze dried cherry powder, gelatin sheets…and of course lots of butter and sugar! She makes “cereal crunch” by adding melted butter, salt, and sugar to coat cereal and bakes it in the oven. This is what I call “crack!” It’s highly addictive for snacking, putting on ice cream, and of course in cookies! 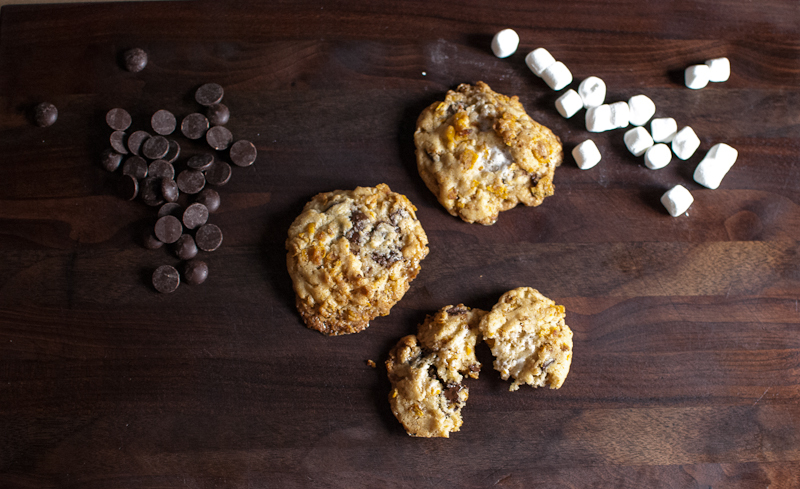 Dark chocolate chips, cornflake crunch and marshmallows….the main ingredients in this crack cookie. My first attempt at her cookie recipe failed big time! Super flat crispy cookies, they spread all over the sheet like one big blob. I was mad as hell. So I compared my basic chocolate chip cookie recipe to hers. She had more sugar and butter in hers. So I tweaked her recipe a bit and tried again. Cream sugars and butter in a mixer on medium speed until well combined. On low speed, add flour, baking powder, baking soda and salt. Mix until just combined, do not over mix. 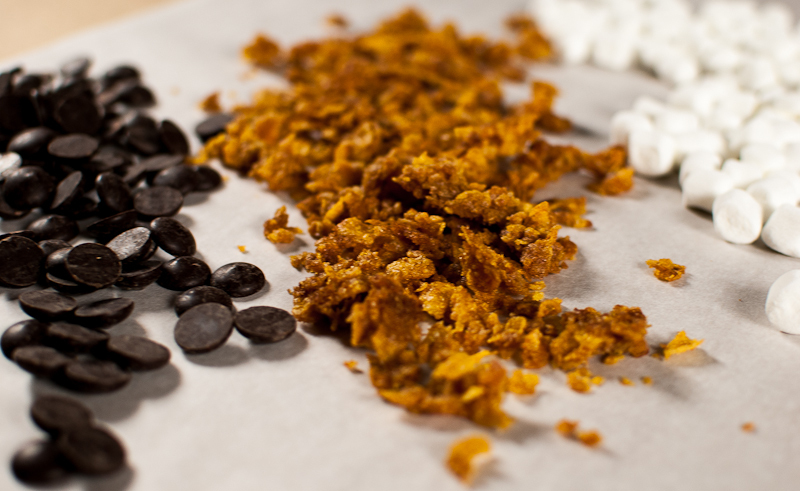 Add cornflake crunch, chocolate chips and marshmallow and mix on low speed. 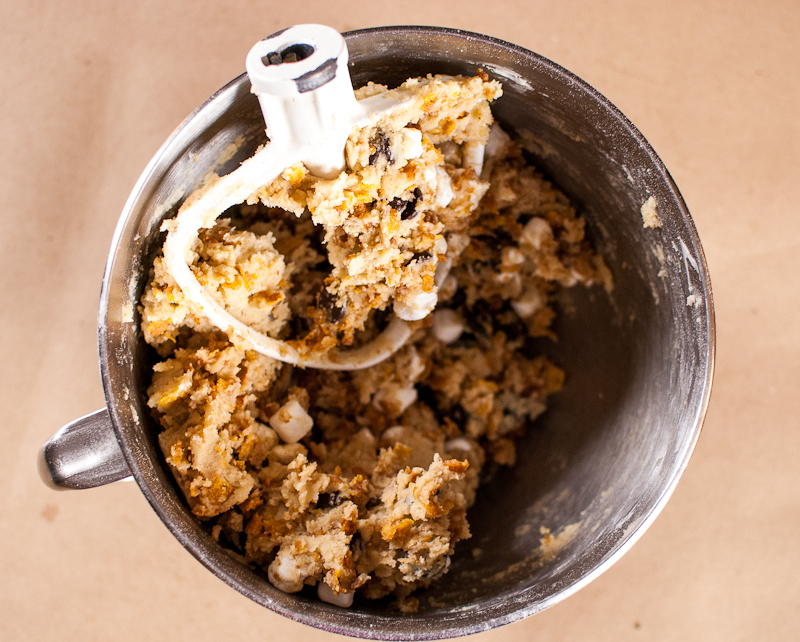 On a parchment paper lined baking sheet, scoop cookie dough into balls and place in the freezer for 30 minutes. Bake straight form the freezer for 22 minutes at 350 degrees. Spread evenly on a parchment paper lined cookie sheet. The crunch will keep fresh for 1 week in a airtight container and stored at room temperature. Int he fridge or freezer it will keep 1 month. I recently made these cookies as well (http://mcmania-ourlifeasweknowit.blogspot.com/2013/01/recipe-recap-brownies-and-cookies-and.html) and used two sticks of butter, which is what my recipe called for. The cookies flattened waaaaay out and while they still tasted fine, they weren’t my favorite texture. I figured the problem was too much butter and now I see maybe I was right in thinking that since your cookies look more the way I was expecting mine to look. I ended up making bars with the rest of my dough and those turned out fabulous. I want to try again with one stick of butter and see how that works for me. I agree, though, that these are quite addictive. Ive made these before and didn’t realise that she uses bread flour in her cookie recipes. She says that she does in the front of her book. They spread and turned out flat with crispy edges. With the addition of bread flour instead of all purpose they turned out great! Love the momofuku cookbook.